Latest PDO. May 2016 1.46. Down from 1.60 previous month. May 2015 had a more neutral PDO than this year.. A more positive PDO meant more Jet stream dips in the Eastern U.S.
May 2016 on paper wont show it because last 7 days we got torched. But May 2015 was warm overall and more consistently. A lower PDO means less troughs digging into the East. Would still make it top 10 strongest +PDO signals for the month of May since 1900. We had more above average days than below here for May. So if in fact +PDO means more frequent dips in the jet for the eastern US, it wasn't the case for the Midwest this May. Also, May of 1995 had a +PDO index of 1.46 and we know how that summer turned out (also La Nina transition year). The PDO was at +1.80 in May of 83'. Summer also scorcher. 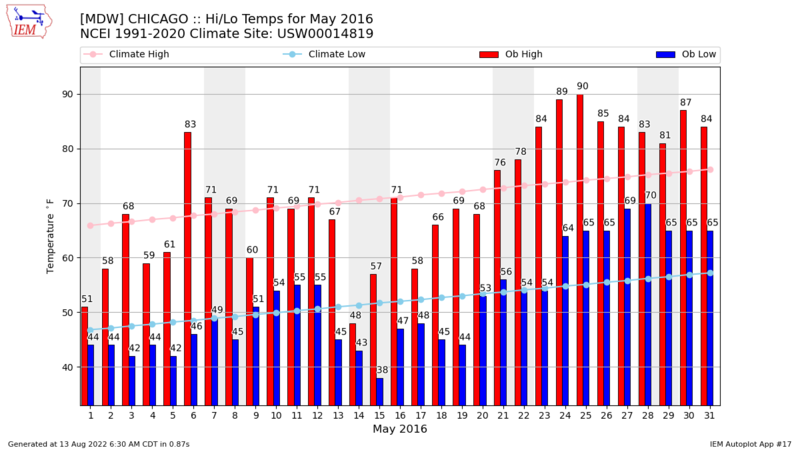 Would still make it top 10 strongest +PDO signals for the month of May since 1900. We had more above average days than below here for May. May 2016 At MDW ..
How will you squeeze through that one? More days below normal. And how about overall... Check out the departures each week. Looks like Chicago was below normal 3 of the 4 weeks. 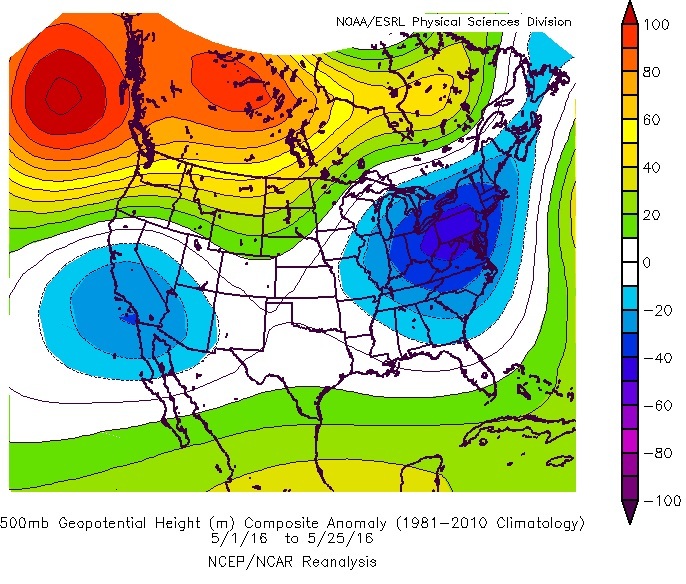 So if in fact +PDO means more frequent dips in the jet for the eastern US, it wasn't the case for the Midwest this May. Wrong... See above. There were more dips than ridges East of the Rockies. Count them again. More than half the days saw above normal temps. NAO was negative for a good chunk of May as was the AO index which is why a good chunk of May was below normal for the east. Can't blame everything on the +PDO. If that was the case then why were we torched for 10 of the last 11 months (all of which had a super +PDO). Oh that's right, El Nino. PDO wasn't a factor. Last edited by chicagogeorge; 06-04-2016 at 07:28 AM.. I've said this to George over and over and he simply doesn't believe it. Thanks. See my post above. Tell me, did Chicago have more above normal days or below in May? Tom, which was a more significant factor during the May cold spell. The +PDO or the -AO/-NAO that dominated the first half of the month? Tell me, what is the forecast for the first two week of June for my region? Is the +PDO at work? Exactly as cambium stated. This time your spared and we are not, due to the orientation of the PDO. Next time could be different. A ridge will keep coming back to the west due to all that warmer than avg water against their coast. I apologize,, I was looking at April numbers. But 50% of the days isn't really saying much. Understand that clouds at night can prevent departures from being below normal so YOU CANT use simply how many days were above/below. We should be using the Jet stream itself. And my comment still stands.. Excluding the last 7 days of May look at the mean positon of the jet. That below normal in SouthWest was a long duration Upper Low. So you deny that MDW had more above average days than below this May? 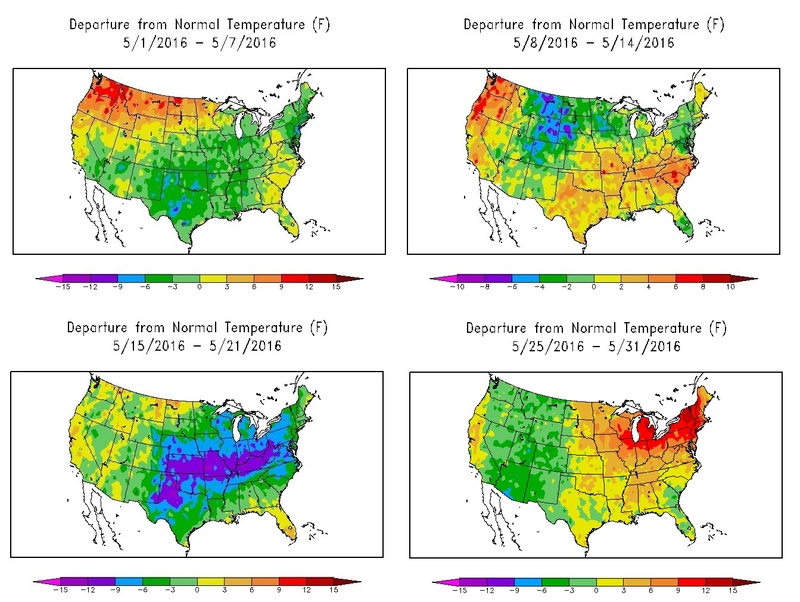 Do you deny that May was dominated by a negative NAO (-0.77) and negative AO (-0.036) which was the main reason why a good chunk of the month was below average from the east? This time your spared and we are not, due to the orientation of the PDO. Next time could be different. A ridge will keep coming back to the west due to all that warmer than avg water against their coast. I apologize,, I was looking at April numbers. But 50% of the days isn't really saying much. Understand that clouds at night can prevent departures from being below normal so YOU CANT use simply how many days were above/below. 50% is saying that the month was near normal, which it was, just slightly positive. We should be using the Jet stream itself. Again, look at the NAO. That was the reason why we had troughs in the East. Also, the PNA was negative at -0.85 for the month of May. Just having May and June in positive territory is not enough IMO and it's not even strong at that. But again... why are you trying to make it seem like the PDO is the only thing to look at? Try filtering out the El Nino years, or adding a positive PNA to it. How about the AO with the +PDO? And how about winter instead of Summer. Like you said (& I agree) it affects the pattern much more in Spring, Fall and Winter. I chose which had multiple months of +PDO prior and including that July. But seriously, how can we ever sanitize teleconnections where just the PDO is looked at? Impossible. There will always be PNA/NAO/AO/EPO phases that interplay with the PDO/AMO. 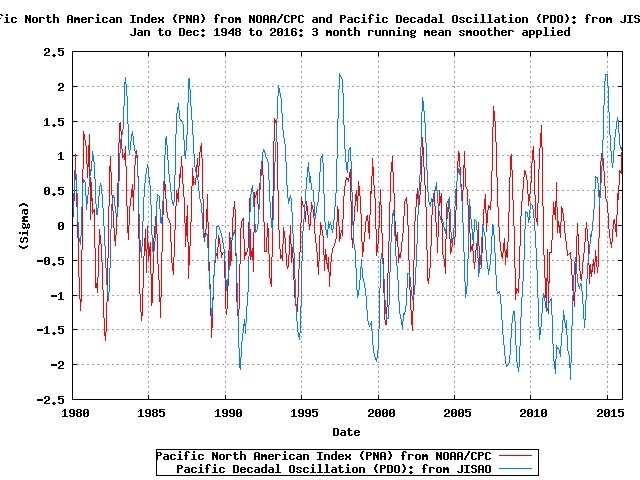 Check out the relationship between the PDO and the PNA. 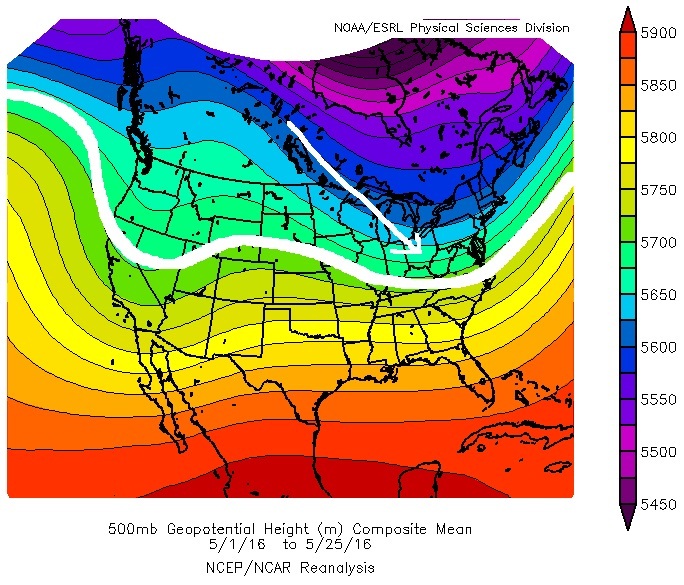 Both are associated with the ridge west/trough pattern in the west and guess what that does down stream? 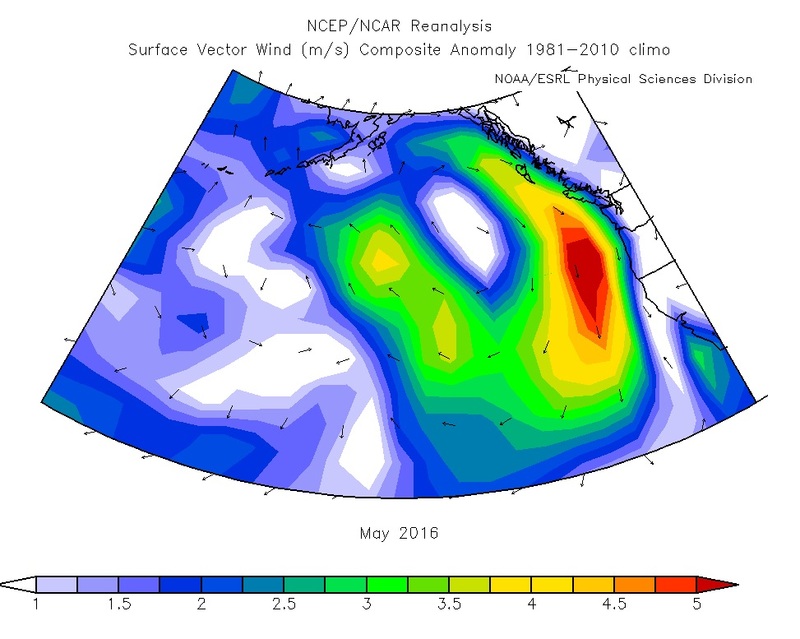 And take a look at why the PDO weakened in May.. the surface winds were coming from the Alaska-Pacific northwest coastal waters. 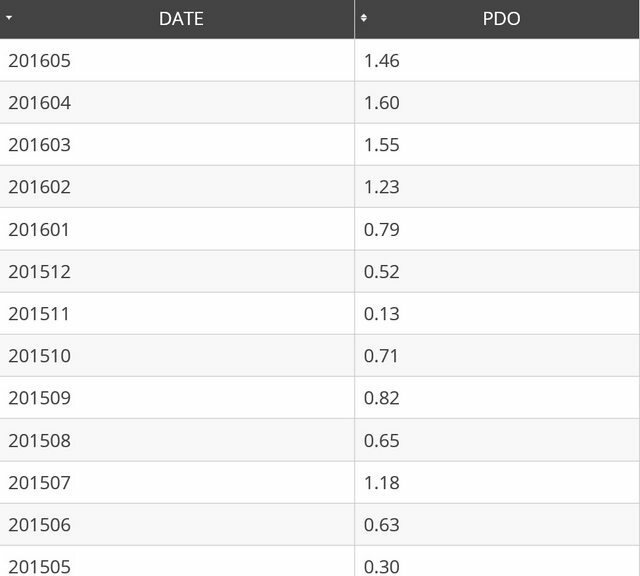 Lets see if the PDO will drop more next month.